The interaction between player and field is an important factor in the assessment of the foundation. The various sports federations such as FIFA, FIH and the IAAF have set a number of characteristic values. One of these standardised values is the rotational resistance (or traction). When the resistance against rotation is too high, too much stress may be placed on the joints of the sportsman. When the resistance is too low, the result can be insufficient grip with the effect of the sportsman slipping. For this reasons the FIFA has laid down a testing procedure with clearly defined values for the rotational resistance. 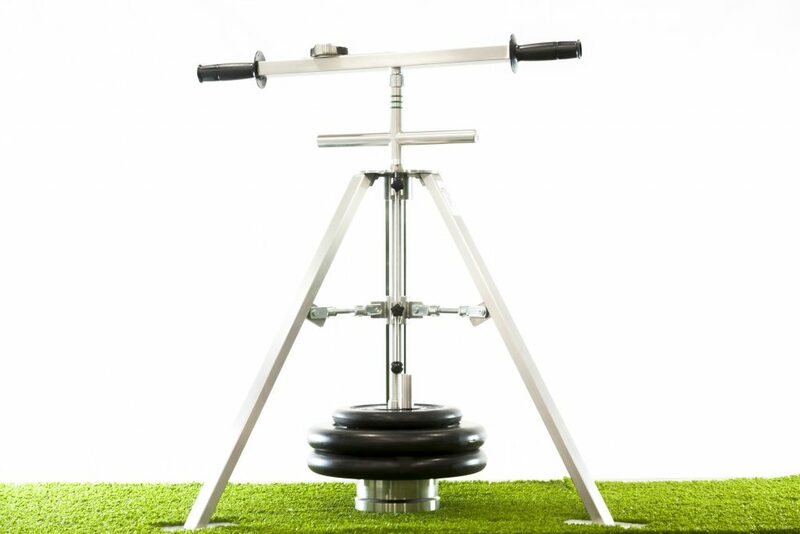 The test foot must be loaded with weights till it reaches 46 kg and must fall from a predetermined height before determining the resistance against rotation. 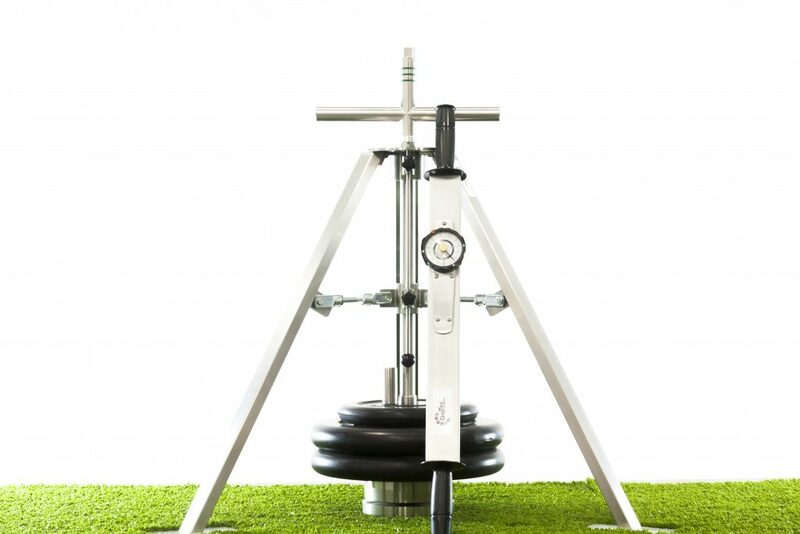 The Deltec Rotational Resistance Tester performs the measurements in a simple manner. During the development, special attention was given to ergonomic characteristics of the device. The weight for example consists of several plates. The Deltec Smart Carrier is a tool made for transport across the field. Disassembling in between the measurements is not necessary anymore. The testing device consists of a tripod with bearings to ensure that the free fall and subsequent rotation are executed with as little friction as possible. 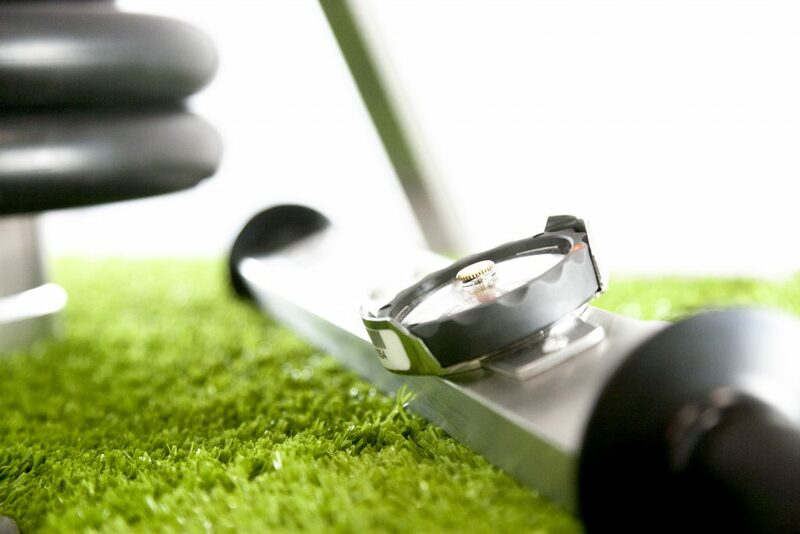 After the fall the required torque is determined by using the supplied torque wrench to rotate the test foot over an angle of a minimum of 45 degrees.